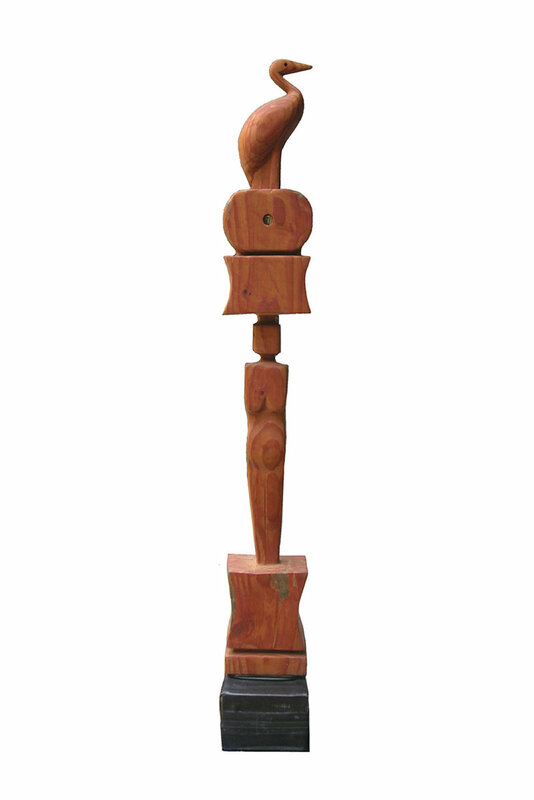 Totems are used to represent myths and legends. 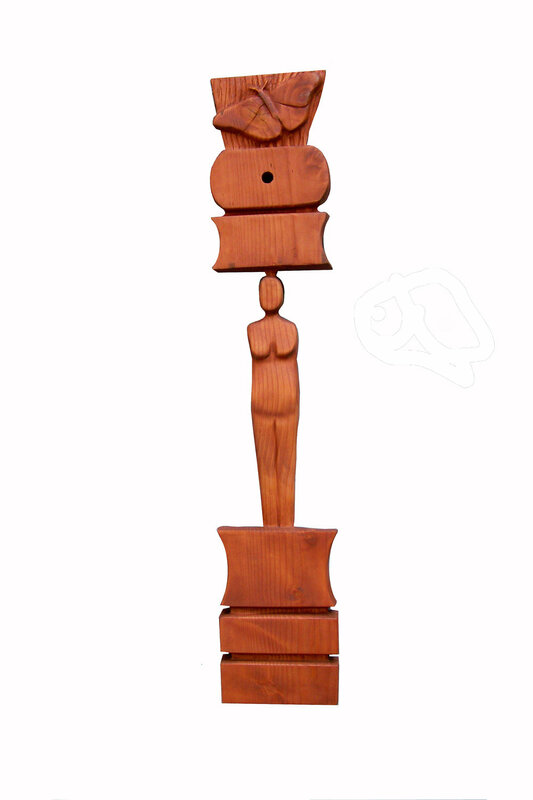 Some of these totems represent situations in our society where restrictions may be present. 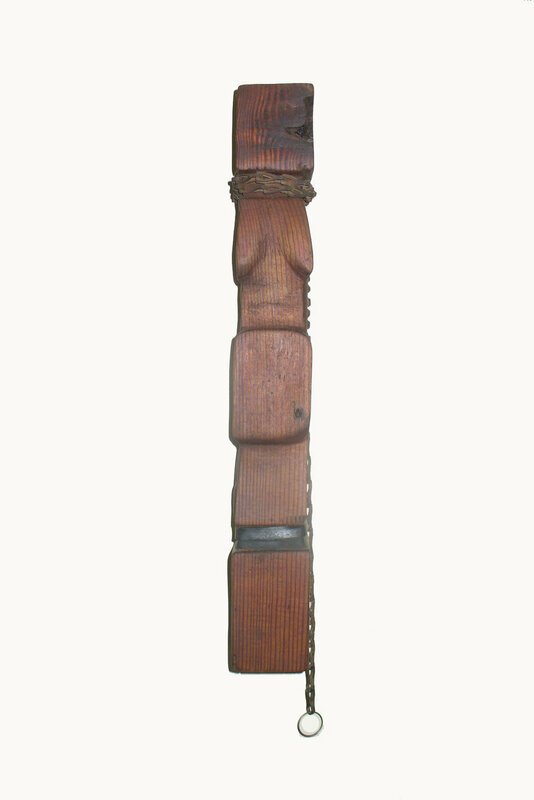 The materials used with the wood can be seen as adornments or constraints. Other totems connect the spirituality of animals and man.